This section will display propaganda posters from the First World War. Propaganda posters were meant to mock and dehumanize the enemy while bolstering the morale of one's own public and incite public sentiment against the enemy. In order to understand the importance of propaganda posters during World War 1, it must be remembered that there was no television and radio was in its infancy during war. Therefore most propaganda was disseminated in printed forms such as cartoons in newspapers and magazines, in newspaper editorials, and in pamphlets distributed on the street. Propaganda posters were especially important during World War 1 as a means of keeping up morale on the home front and motivating one's civilian population to make sacrifices needed to achieve success. These posters combined striking imagery with easily understood messages. They were the WW1 equivalent of sound bites. 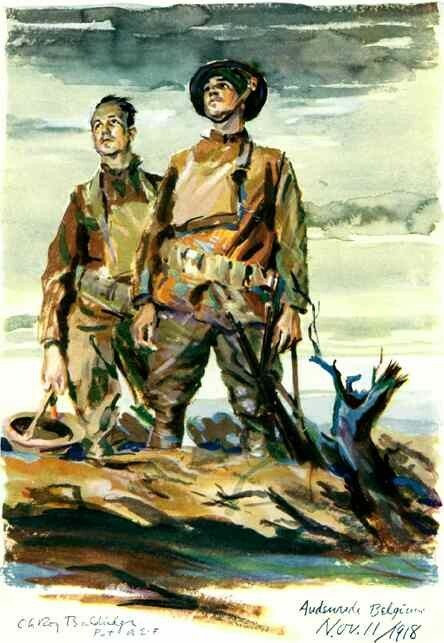 The spirit of the American soldier in World War 1 is glorified in this color poster. 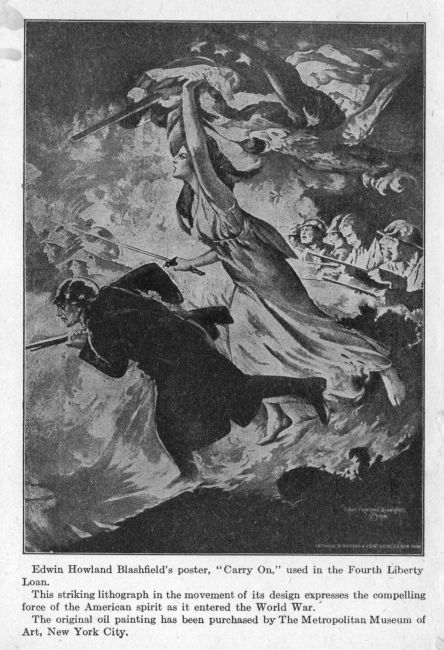 This poster was entitled "Carry On" and potrays Lady Liberty as accompanying the American troops into battle. It is meant to get people to buy war bonds in order to fund the war effort. 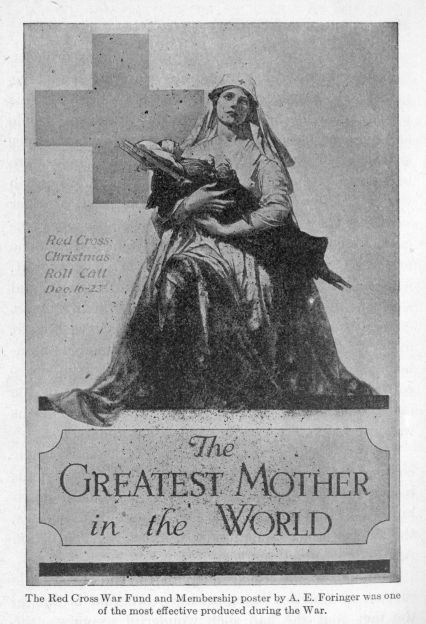 The Red Cross War Fund and Membership poster by A. E. Foringer was one of the most effective produced during the War. To finance the war, the government sold Liberty Bonds. Government propaganda posters appealed to the citizens' sense of patriotic duty; the buying of Liberty Bonds was portrayed as a contribution that everyone could make to the war effort. Millions of liberty bonds were sold; many were bought by large investment corporations but the majority were sold to working men and women. In all there were 5 Liberty Bond campaigns during the Great War, which all together raised about 22 billion pre-Great Depression American dollars. In addition to buying Liberty Bonds, the American public contributed about $300,000,000 to two Red Cross funds and also made enormous contributions to the Y. M. C. A., the Knights of Columbus, the War Camp Community Service, the Salvation Army, and other funds for the support of the men in uniform. In this propaganda poster, brutal German soldiers recruit a conscript a civilian in occupied Belgium at the point of a gun. Belgian civilians were sometimes used as forced labour during the war. 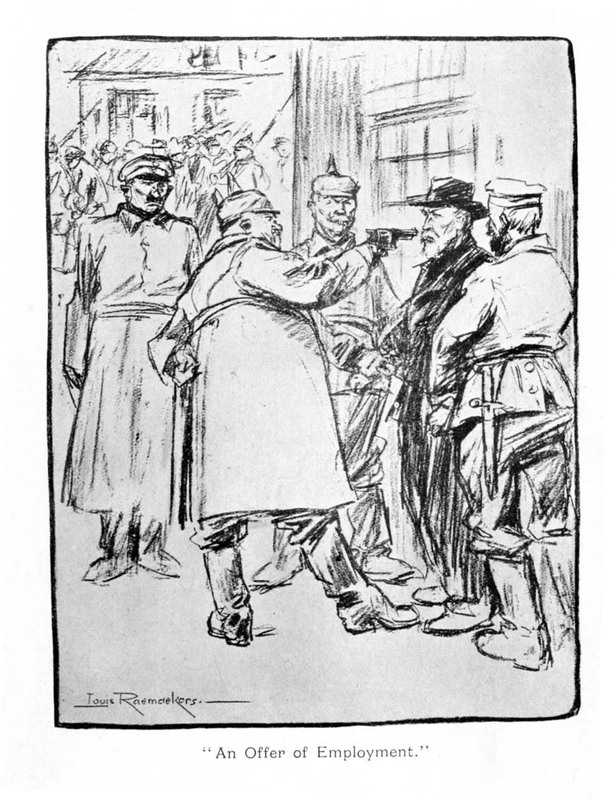 However, German misdeeds during World War 1, and especially stories of crimes against civilians, were greatly exaggerated by the Allied war propaganda. During World War 2, however, the German armed forces exceeded all expectations of brutality and committed crimes far worse than the Allies even imagined; most Nazi atrocities did not come to light until after the end of World War 2.